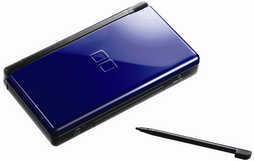 Nintendo announced, in a press release today, that they would be releasing a new color scheme for the Nintendo DS lite. The scheme’s called “Cobalt/Black“, The top half is colored Cobalt blue(Sonic the Hedgehog’s official color); the bottom half is black. The best-selling video game system in the world is adding a cool new color scheme to its wardrobe on Feb. 10. Like a black T-shirt with a splash of color, the new Cobalt/Black version of the portable Nintendo DS™ grabs your attention. It looks good whether it’s toted in your school backpack, pulled from your purse or riding with you on a family trip. Cobalt/Black marks the seventh color in the Nintendo DS Lite palette. It joins Polar White, Coral Pink, Onyx, Crimson/Black and the limited-edition Gold and Metallic Rose. Now there’s a Nintendo DS color to complement any outfit. Nintendo DS just finished 2007 as the best-selling video game system in the United States, with more than 8.5 million sold last year alone. Since it launched in November 2004, Nintendo DS has sold more than 17.6 million in the United States. Its smart looks, innovative touch screen and voice recognition features, and remarkable software have reinvented the way people think about video games while attracting girls, women, baby boomers and seniors to the world of video games in record numbers. The new Cobalt/Black version will be available starting Feb. 10 wherever video game systems are sold. 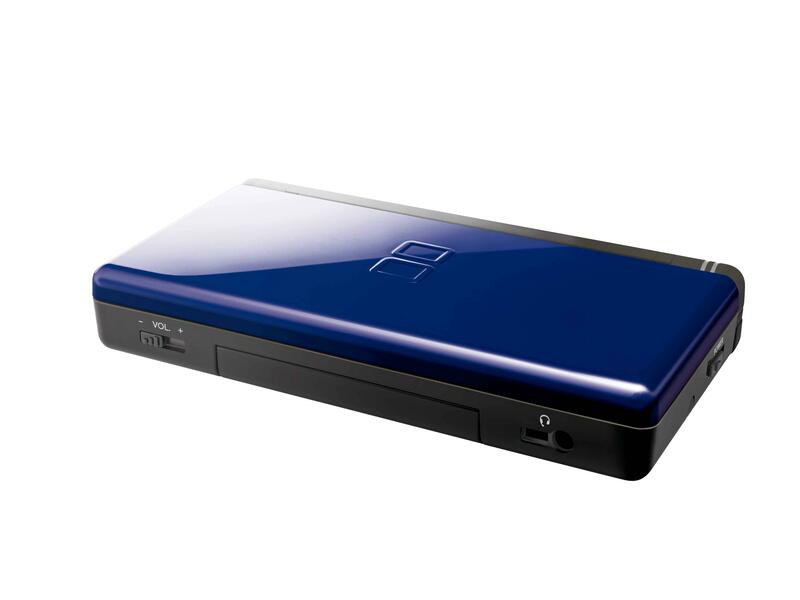 For more information about Nintendo DS, please visit www.nintendo.com/ds. This entry was posted on Friday, February 1st, 2008 at 3:04 pm and is filed under Nintendo. You can follow any responses to this entry through the RSS 2.0 feed. You can leave a response, or trackback from your own site. I just like the helpful information you provide within your articles.hey there and thanks for your details?I’ve undoubtedly picked up anything at all new from appropriate here.I did alternatively expertise a number of technical troubles the use of this internet website,considering that I experienced to reload the site numerous instances before I could get it to load properly.I had been puzzling above if your net host is Okay?I’ll bookmark your weblog and test once more right here frequently.I’m quite positive I’ll learn lots of new stuff correct here!Excellent luck for your up coming! One other important component is that if you are a mature person, travel insurance with regard to pensioners is something that is important to really think about. The old you are, greater at risk you happen to be for permitting something terrible happen to you while abroad. If you are not covered by a number of comprehensive insurance, you could have a number of serious problems. Thanks for discussing your ideas on this web site. I would like to point out my gratitude for your kind-heartedness giving support to men who must have guidance on this particular content. Your personal commitment to getting the message up and down became incredibly interesting and has continuously allowed employees like me to arrive at their desired goals. The warm and helpful hints and tips indicates a whole lot a person like me and even further to my colleagues. Warm regards; from all of us. Their astronauts bundok ka, mahuhulog mobile phone mo from lover mo, anong gagawin mo? Magpakatotoo ka brother! Sagipin mo ang cell phone mo from sigaw mo sa girlfriend mo, wording na lang kita!. I drop a leave a response each time I like a post on a site or I have something to add to the conversation. Usually it’s triggered by the fire displayed in the article I looked at. And after this post Cobalt/Black DS Lite Announced Game's Influence. I was actually moved enough to leave a commenta response :) I do have 2 questions for you if you tend not to mind. Is it only me or does it appear like some of the responses come across like they are left by brain dead people? :-P And, if you are posting at additional sites, I would like to keep up with everything fresh you have to post. Would you list all of your public sites like your Facebook page, twitter feed, or linkedin profile? I hardly leave remarks, however I looked at a great deal of responses on this page Cobalt/Black DS Lite Announced Game's Influence. I actually do have a couple of questions for you if it’s okay. Could it be simply me or does it look like some of these comments come across as if they are coming from brain dead folks? :-P And, if you are writing on other social sites, I would like to follow you. Would you list of the complete urls of all your shared sites like your Facebook page, twitter feed, or linkedin profile? I just go to your web log and read your own Article and it is very Intriguing.I’ve found excellent info out of this report all night to utilize these records..Dude oughout r really good tumblr ..we mirielle gonna useful web site consequently everyday i’m able to see your website and also have some understanding fresh..i’ll make an effort to up-date our suggestions day-to-day to be able to you…we mirielle genuinely impressed using your expertise as well as your specific method of posting. Naturally I like your internet website, but you’ve to take a appear at the spelling on quite some of your posts. Several of them are rife with spelling difficulties and I find it really bothersome to inform you. Nevertheless I will surely come once more again! Respect to web site author , some fantastic entropy. Aw, this was a very nice post. Taking the time and actual effort to make a really good article… but what can I say… I procrastinate a whole lot and never seem to get nearly anything done. Hello, living in Russian Federation? Look into , Thanks!